THIS AGREEMENT (“Agreement”) is entered into and effective upon purchase of the Business Launch Mastermind (“Effective Date”), between Ashley International, Inc. (“Ashley International), a California corporation, and you, an individual (“Participant” or “You”). 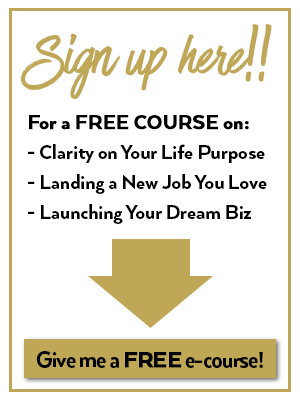 18 hours of instruction, 10 video trainings, downloadable workbook. This Program does not include one-on-one coaching with, or access to, Ashley Stahl (via phone, e-mail or otherwise). Price. The purchase price for the Program is $297 paid in full in advance. A rejected payment may cause immediate suspension or termination of services, at Ashley International’s option. Refunds. If after seven (7) days, you are not satisfied with the quality of this program, please contact Ashley International’s team letting them know at support@ashleyinternational.com and turn in your completed homework (per the homework checklist below and in the membership area), and a full refund will be issued. Upon such termination you will immediately lose your log-in access to the Business Launch Mastermind and will be terminated as a client. After seven (7) days from the date of purchase of the Program, your right to a refund will expire and terminate. Term / Termination. Upon your purchase of the Program you will have access to, and use of, the Program Materials. Once a module is released, you will have a minimum of one year of access to the program materials. Intellectual Property Rights. Ashley International owns any and all intellectual property rights in and to the Program. Upon purchase of the Program, as each module of the Program is released to Participant, Ashley International grants Participant a non-exclusive non-transferable license and right to use, view and re-view such Program materials in accordance with the term of this Agreement. Log-In / Exclusive Use. Once you purchase the Program, you will receive your Log-In details and password via email. This log-in name, password, and the on-line Program materials provided to you by Ashley International (through the Website or otherwise) are for your exclusive use as a Participant (along with Ashley International’s other participant’s). Sharing of your log-in name, password, and/or the on-line Program materials with one (1) or more third parties is a material breach of this Agreement. In the event you share with third parties your log-in name, password, or the on-line Program materials, Ashley International has the right to, and will, terminate this Agreement “for cause” (i.e. for breach of the terms of this Agreement), and immediately terminate your access to, and use of, the on-line Program Materials. In such event you will not be entitled to a refund of all or any portion of the fee paid for the Program or any other fee(s) paid by Participant to Ashley International at any time. No Guarantee of Results. Ashley International cannot and does not guarantee results. You understand and agree that you are fully responsible for obtaining your desired results from the Program. In the event Participant participates in live sessions (voice, skype or otherwise) with Ashley International and/or in one of Ashley International’s private Facebook groups, with or without other participants, Ashley International and Participant will communicate with each other in an open, supportive, and constructive manner at all times. Participant will be fully present, ready, willing and able to fully participate in the live sessions, without distractions. You are fully responsible for decisions made and/or actions taken or not taken as a result of your live sessions with Ashley International and/or your participation in the Program. Coaching and Not Therapy. Coaching is not therapy. It is not psychotherapy, psychoanalysis, mental health care or substance abuse treatment. Therapy addresses past events and how these events may be affecting you in the present. Coaching addresses the present and future and recommends certain actions to reach your stated goals in your business or personal life. These recommendations are based upon the coach’s knowledge, experience, and expertise. ANY AND ALL SERVICES, PRODUCTS, INFORMATION, AND CONTENT PROVIDED TO YOU BY ASHLEY INTERNATIONAL INCLUDING, WITHOUT LIMITATION, THE BUSINESS LAUNCH MASTERMIND ARE NOT THERAPY. THE SERVICES, PRODUCTS, INFORMATION, AND CONTENT PROVIDED BY ASHLEY INTERNATIONAL THIS PROGRAM OR ANY OTHER PROGRAM OR OTHERWISE ARE NOT AN ALTERNATIVE TO, OR SUBSTITUTE FOR, THE MENTAL HEALTH SERVICES OF A LICENSED THERAPIST. WE URGE YOU TO CONSULT A LICENSED THERAPIST FOR THE DIAGNOSIS AND TREATMENT OF MENTAL HEALTH ISSUES. NOTWITHSTANDING ANYTHING TO THE CONTRARY CONTAINED HEREIN, IN THE EVENT ASHLEY INTERNATIONAL BELIEVES YOU ARE MAY HARM YOURSELF OR OTHERS, OR ASHLEY INTERNATIONAL BECOMES AWARE OF CHILD AND/OR ELDER ABUSE OR NEGLECT, ASHLEY INTERNATIONAL MAY TAKE ANY AND ALL ACTIONS ASHLEY INTERNATIONAL DEEMS NECESSARY OR APPROPRIATE UNDER THE CIRCUMSTANCES INCLUDING, WITHOUT LIMITATION, CONTACTING POLICE AUTHORITIES OR FAMILY MEMBERS, AND ASHLEY INTERNATIONAL WILL NOT BE LIABLIE TO PARTICIPANT OR ANY THIRD PARTIES FOR TAKING SUCH ACTION TO PROTECT PARTICIPANT OR OTHERS. NOTWITHSTANDING THE FOREGOING, ASHLEY INTERNATIONAL HAS NO DUTY TO PARTICIPANT OR ANY THIRD PARTIES AND WILL NOT BE LIABLIE TO PARTICIPANT OR ANY THIRD PARTIES FOR ASHLEY INTERNATIONAL’S FAILURE TO TAKE ANY SUCH ACTION TO PROTECT PARTICIPANT OR THIRD PARTIES. Participant represents and warrants that he/she has considered the possibility that claims, liabilities, injuries, damages, and causes of action that he/she does not presently know or suspect to exist in their favor may develop, accrue, or be discovered in the future, and that he/she voluntarily assume that risk as part of the consideration for this Agreement. Notices. Any notices required to be given under this Agreement by either party to the other may be effected by personal delivery in writing or by U.S. mail, registered or certified, postage prepaid with return receipt requested. Mailed notices must be addressed to the parties at the addresses appearing in the introductory paragraph of this Agreement, but each party may change the address by giving written notice in accordance with this paragraph. Notices delivered personally will be deemed delivered and received as of actual receipt; mailed notices will be deemed delivered and received as of the fifth business day after mailing. Entire Agreement of the Parties. This agreement supersedes any and all agreements, either oral or written, between the parties with respect to the Program and contains all of the representations, covenants, and agreements between the parties with respect to the Program. Each party to this agreement acknowledges that no representations, inducements, promises, or agreements, orally or otherwise, have been made by any party, or anyone acting on behalf of any party, which are not contained in this agreement, and that no other agreement, statement, or promise not contained in this agreement will be valid or binding. Any modification of this agreement will be effective only if it is in a writing signed by the party to be charged. Severability. If any provision of this Agreement is held by a court of competent jurisdiction to be invalid, void, or unenforceable, the remaining provisions will continue in full force and effect without being impaired or invalidated in any way. Arbitration. Any controversy, dispute, or claim of whatever nature arising out of, in connection with, or in relation to the interpretation, performance or breach of this Agreement including, without limitation, any claim based on contract, tort, or statute, will be resolved at the request of any party to this Agreement by final and binding arbitration conducted at a location determined by the arbitrator in Los Angeles, California, administered by and in accordance with the then existing Rules of Practice and Procedure of the Judicial Arbitration & Mediation Services, and judgment upon any award rendered by the arbitrator may be entered by any state or federal court having jurisdiction thereof. The arbitrator will be a disinterested attorney and/or retired judge. Such arbitration will include discovery proceedings as provided under Section 1283.05 of the California Code of Civil Procedure. The parties hereto consent to the jurisdiction of the Superior Court of the State of California, Central Judicial District, for purposes of enforcing this arbitration agreement and proceedings and entry of judgment on any award and further consent that any process or notice of motion or other application to the Court or the judge thereof may be served by certified or registered mail, return receipt requested. Governing Law. This Agreement will be governed by and construed in accordance with the laws of the State of California. Assignability and Third Party Beneficiaries. Participant may assign this Agreement and/or any rights, obligations, and/or claims under this Agreement with the prior written consent of Ashley International in each instance, and any attempted assignment without such consent is null and void. Ashley International may assign this Agreement without limitation. This Agreement will be binding upon and shall inure to the benefit of the respective trustees, legatees, devisees, heirs, executors, administrators, assigns and successors in interest of the parties. Please acknowledge your approval by checking the box on the Business Launch Mastermind Order form, where indicated.